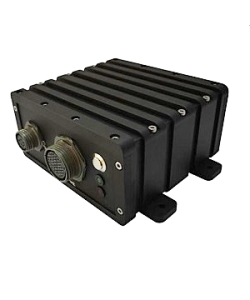 SDK Embedded Systems small form factor Mission Computers are designed for UAV and other mission-critical airborne applications. These high performance SWaP optimised, rugged mission computers are based on the latest generation of Intel Core-i7 processors and chipsets (including NVIDIA Pascal GPU Architecture). Despite the very small physical dimensions, this is a fully featured processing platform with a removable storage option and a range of interfaces. The SD-A67RMG is ideal in space constrained applications where high performance data processing and removable storage are required. The SD-AR7PW is ideal in space constrained applications where high performance data processing is required. The SD-7RP95GPU is a High Performance Embedded Computer (HPEC), based on NVIDIA Maxwell GPU Architecture. With access to 640 NVIDIA CUDA™ cores, the GeForce GTX 950M delivers unsurpassed graphics, video, and GPU computing performance. It is ideal in performance driven applications where high performance graphics, video, and GPU computing performance is required. The SD-7RP1050GPU is a High Performance Embedded Computer (HPEC), based on NVIDIA Maxwell GPU Architecture. With access to 768 NVIDIA CUDA™ cores, the GeForce GTX 1050Ti delivers unsurpassed graphics, video, and GPU computing performance. It is ideal in performance driven applications where high performance graphics, video, and GPU computing performance is required.